Cat on a hot tin roof! I drove my car today to the end of my road (luckily a little alleyway down the side of our house) and stopped at the end – and bump! an unexpected visitor appeared. Mittens then strolled down from the bonnet and hopped off! 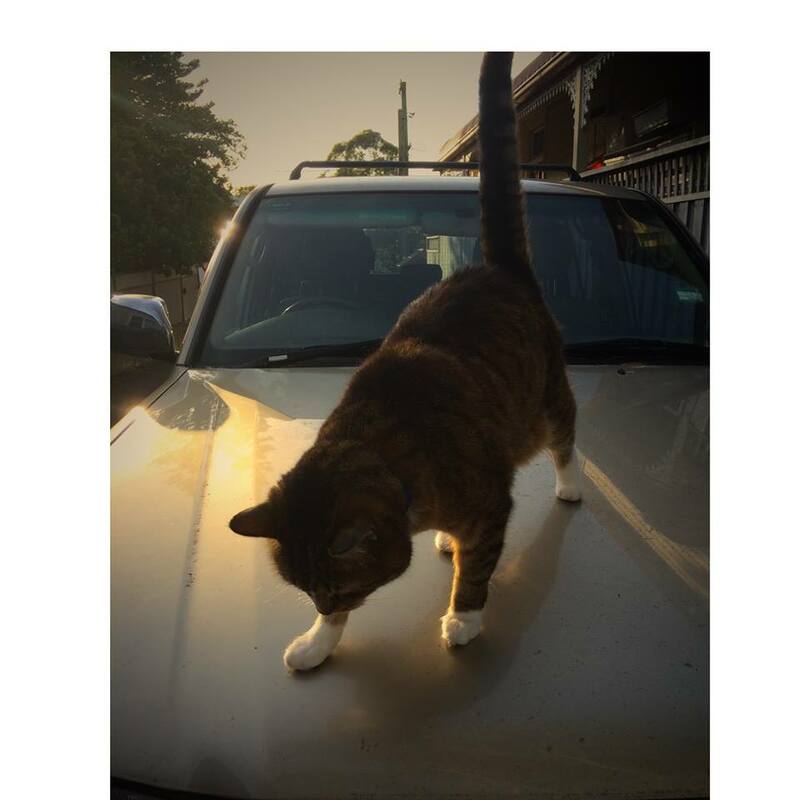 My 11 year old cat had been sitting on the roof of my equally elderly car and had come along for the genteel ride of 5 seconds to the end of the road. I immediately went into overdrive about WHAT COULD HAVE HAPPENED. She could have jumped off in front of the car as I drove off, and I could have driven over her. Unimaginable! or at least unbearable to imagine. She waited for the ride to stop and took her leave. No panicking, just taking it in her stride. Not only did Mittens survive to give me close to a heart attack another day, but she taught me something. Is it worth taking a chance and not to sweat what might happen till it does? Even if you find yourself on the edge of something quite scary, there is a good chance that it might turn out alright. Better than alright, even exciting. I am hoping this is the beginning of an exciting new journey.as I start my new business. Thank you already to some wonderful people who have been so supportive.